L-Carnitine is a non-essential amino acid found in red meat and other animal sources. Though as amino acids are typically used in the body for protein synthesis &/or as a neurotransmitter. 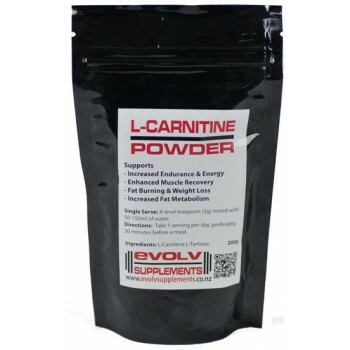 L-Carnitine provides muscular energy by burning fat by promoting fatty acid transport to mitochondria of cells. 3g (1 level teaspoon) with 50-150ml of water. Take 1 serving per day, preferably 30 minutes before a meal.